The 17th Spanish and Latin American Film Festival at the Cornerhouse showed its final film on 27th March ending a 3 week fiesta of films, talks, discussion, educational events and an art exhibition. This annual event has become a permanent feature of the Manchester cultural landscape to the extent that at the Café Cervantes, the conversational cafe run by the Cervantes Institute (the Spanish equivalent of the British Institute) a number of Spanish speaking veterans revealed they had been attending since its inception. The general consensus was that this year has not been quite of the same vintage as past festivals but then veterans usually take pride in saying that and the impressions of some films grow over time as their details fade. This author would nevertheless like to explore some of the films critically and suggest that there were tastes on offer that appealed to sophisticated and raw palates alike in specific cultural contexts. Let us take the “raw” films first. 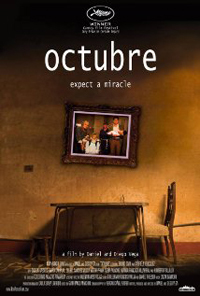 “Octubre” (October) has all the inexorable directness of poverty. Set in Lima, the capital of Peru, it tells the story of a moneylender, Clemente, who has grown up in a working class area of the city and whose relationships, described as “misanthropic” in the film synopsis, are entirely functional and transactional. He meticulously keeps the accounts in a notebook of his loans and repayments of the borrowers for whom men and women like Clemente are the only source of ready cash. His relationship with women is equally transactional, consisting of regular visits to the local brothels. It is a hard, brutal world in which neighbours fight for survival and human warmth is squeezed out. This harsh routine is pierced by the mysterious arrival of a baby that Clemente finds one day returning home and abandoned by its mother, assumed to be the product of one of his illicit liaisons. All his efforts to find the mother and return the child lead Clemente on a wild goose chase to half the brothels in Lima in pursuit of this aim and result in him being beaten up by a taxi driver, trying to find a fictitious address in one of the worst “barrios” of Lima. The other element which Clemente repeatedly denies is the person of Sofia, a single neighbour who comes to his unsolicited rescue and then spends time as a housekeeper/nanny looking after the baby whilst Clemente tries to find the real mother and return his life to its former detached stability. Sofia has other designs. She makes herself indispensable, starts to treat Clemente’s small house as her home, a house meagre and shabby by European standards but relatively affluent in the grinding Peruvian poverty. She makes a number of almost comical, bungled attempts at seduction, except the reality is too absurd and immediate to be funny. Sofia has another side which is as enduring as Clemente’s commercial transactions. She is devoutly Catholic and the film indeed takes its name from the religious festival which takes place in Lima in October. Faith is both an anchor for many who would otherwise find the hardships of Lima intolerable but also tethers them to a lifestyle barely above subsistence level. Usury and Catholicism make uneasy bedfellows. Despite the grim monotony of his existence and its strange impositions, Clemente does experience some emotional growth, and one could interpret the final ménage-a-trois, man, woman and baby, as a conventional, God fearing and law abiding family unit. 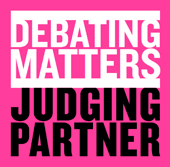 Nothing could be further from the truth-they are not married, the baby may not belong to Clemente and the relationship has been brought about by that champion under-miner of South American autonomy-necessity. It is a marriage of inconveniences and yet in a remarkable way, it works. To read the next in this series of reviews from the Festival click on this Gordos link.